Two salespeople who had been competitors for years linked up to form Seattle-based PartnerTap, which helps salespeople share contacts with partner vendors. It took a trip to Monte Carlo — part of a company-sponsored incentive prize for successful salespeople — for Autum Grimm and Cassandra Gholston to become friends. The pair had been competitors for years, always trying to one-up each other’s sales numbers when they worked at payroll-processing company ADP. Once they spent time together, they realized they were more alike than they knew. “Unstoppable,” Grimm said, finishing Gholston’s thought. Looking for a new challenge, the best friends left ADP for Bellevue-based travel and expense software company Concur, starting just two weeks apart. 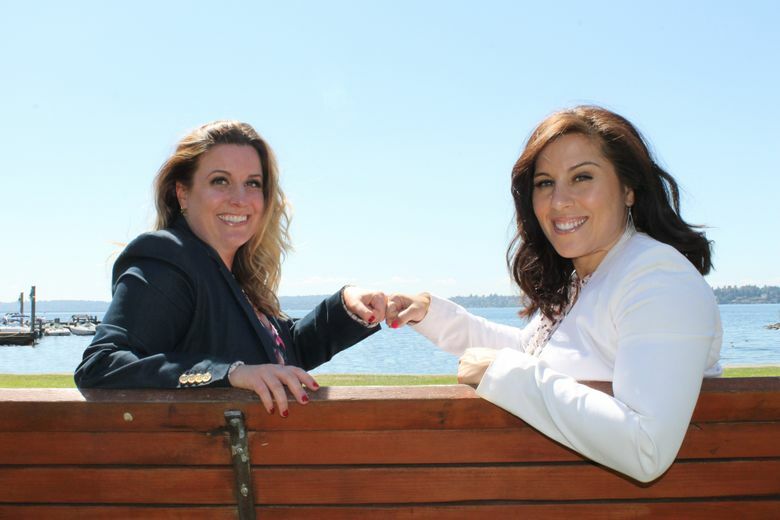 The longtime software saleswomen left in October to launch their own company, Seattle-based PartnerTap, which helps salespeople share contacts with partner vendors. PartnerTap seeks to solve an issue Gholston, who serves as CEO, saw far too often while working in sales. Sales representatives would get together with others from partner companies — vendors who sell complementary services in the same areas — and compare which clients they had in common to share sales leads and plan deals. It’s an arduous process, Gholston said, involving hours of poring over spreadsheets to try to find common connections. PartnerTap aims to make that easy by creating an app that connects to customer-management software from Salesforce. The app lets salespeople find each other’s profiles and automatically creates a list of clients that representatives share. The relationships between partner vendors is growing ever stronger, Grimm said, as companies switch to software-as-a-service models that mostly require customers to pay each month, rather than buying software licenses that last several years. Under that model, “You have to live and die by your customers every month,” she said. Gholston and Grimm teamed up with a third co-founder to manage the technical side of the business, hired one full-time employee and used contractors to launch the product. The company recently raised $900,000 from investors and plans to use the initial funding to hire engineers.